Need a few more Hilton points to top off your account for a redemption? Good news! Now through February 8, you’ll earn a bonus when transferring ThankYou points to Hilton. The standard rate is 1 ThankYou point to 1.5 HHonors points, but with this bonus, you’ll end up with 2,000 HHonors points for every 1,000 ThankYou points you transfer. For the next few months, get 2 HHonors points for each transferred Citi ThankYou point. In case you’re sitting on a stockpile of ThankYou points, there’s no maximum to the number of points that you can transfer to earn the bonus, but you’re capped to transferring just 500,000 ThankYou points per transfer. 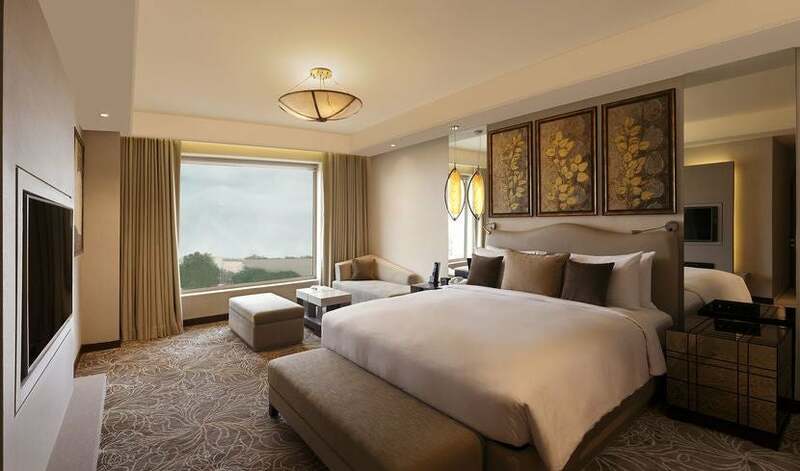 The Doubletree by Hilton Agra is just a few minutes away from the Taj Mahal — and award nights start at just 10,000 points. In his latest points/miles valuations, TPG pegs Citi ThankYou points at 1.6 cents each — although you can get even more value by transferring to Flying Blue, Singapore or Etihad. Meanwhile, TPG values Hilton HHonors points at just 0.5 cents each. So, even at a 1:2 ratio, you can expect to lose out on some value. That said, points and miles are only valuable if you can use them. If you have some orphaned HHonors points, it might make sense to utilize this transfer bonus to top off your account so you can redeem for an award. And, there are some great ways to get value from your Hilton points. Another way of stocking up on Hilton Honors points is by opening a new credit card. You can get a 75,000-point sign-up bonus on the Hilton Honors Surpass Card from American Express. The no-fee Citi Hilton HHonors Visa Signature Card also currently has an elevated sign-up bonus of 75,000 points. We don’t know when the Visa card’s bonus will end, so jump on that soon if you know you want that bonus. Featured image courtesy of Hilton Los Cabos.